Filing taxes is probably one of America's least-loved activities. Deductions vary depending on your income, whether you file single or jointly, have dependents, and what state you live in. The new Tax Cuts and Job Act enacted in 2017 may affect some deductions you took before too, so consult a tax professional when in doubt. The home mortgage interest deduction is one of the Motley Fool's top deductions. The fact that mortgage interest is deductible promotes home ownership and it's especially valuable to new homeowners who may not have much left after down payments and closing costs. Qualified second homes are also eligible for this deduction as are other types of homes in special circumstances. U.S. News list of important tax deductions for self-employed individuals includes home office expenses. Individuals with a dedicated home office may be able to deduct not only furniture and other equipment but also the room's portion of utility payments and other upkeep costs. To qualify for this deduction, the space must be exclusively for an office, however, and misrepresented claims are subject to intense audits. Charitable donations qualify as one of the best tax deductions because they cover not only financial contributions but also donations of goods such as items given to a non-profit thrift store or other charitable institution. If you volunteer your time to a charity, you can deduct the cost of volunteering, such as mileage expenses. Professionals offering pro-bono work to charities may be able to deduct the equivalent of their standard fees for that work as well. MoneyTips lists moving expenses as a top deduction if the move is at least 50 miles away and related to a job. This may include not only the cost of freight shipping for household and personal goods but also the cost of moving supplies, hotels, and meals during the relocation. This deduction will be phased out throughout 2018 to 2025. Up to $2,500 of student loan interest can be deducted. With many college students entering the workforce with excessive debt, the interest deduction can represent a significant savings. Be sure to add interest from all student loans to avoid missing any possible deductions. Consumer Reports lists many medical expense deductions that should not be missed. You may deduct medical costs above 7.5 percent of your income and these can include such expenses as the cost of caring for a service dog, medical devices and supplements prescribed by a doctor, and in-vitro fertilization. Self-employed persons can make significant mileage deductions for using their car for business purposes. This is the best deduction for people who work for popular ride-sharing services like Uber or Lyft. You will need to keep track of odometer readings before and after each trip to claim this deduction. With the mileage deduction valued at greater than 53 cents per mile, even a few miles can add up to great savings. One of the best deductions is available to the teaching profession. If you worked for at least 900 hours a year in a qualified school, you can deduct up to $250 to offset the cost of educational supplies purchased out-of-pocket. These supplies must be used directly in the classroom and may include computer equipment, project supplies, decorations, and books. Working parents can deduct a percentage of child care expenses if they used a licensed child care provider. While there is an upper limit on this deduction, even a partial deduction can yield great savings. This is an important deduction for families that can be overlooked, resulting in lost income for working families. Computers, copiers, fax machines, and other work equipment are great deductions for self-employed persons and small business owners who demonstrate a need for such equipment. 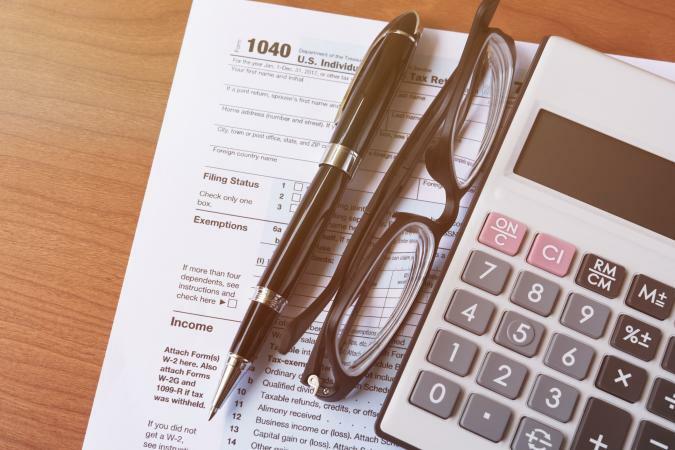 These items are some of the best tax deductions for long-term savings because they are typically amortized through the life of the item, generating tax savings year after year. Investor Place highlights deducting state sales taxes as an important deduction many tax filers miss. Even if you live in a state without an income tax, you are still eligible to deduct local taxes. You'll need copies of your receipts to calculate the amount and provide proof. Contributing money to your IRA (individual retirement account) is an excellent deduction because it not only helps you save for retirement but also reduces your taxable income. This is only true for traditional IRAs and not Roth IRAs. You can place as much as $5,500 in an IRA; once you reach age 50, you can add $6,500 per year.